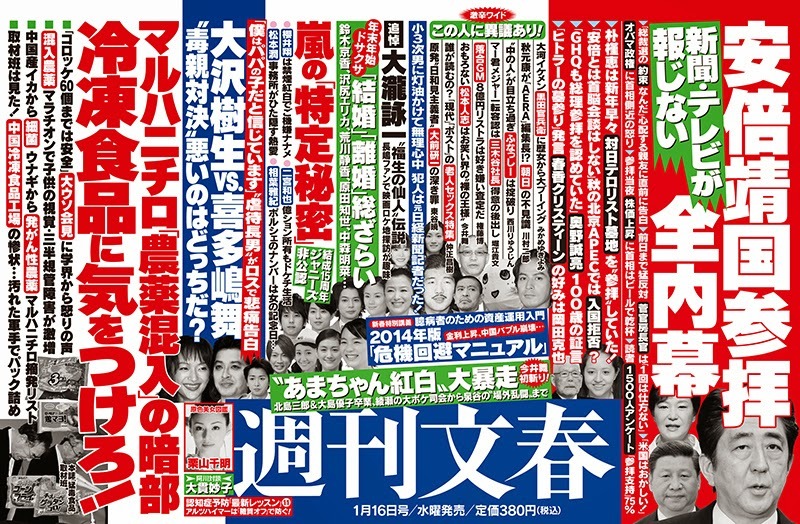 Shukan Bunshun (16th January issue) reports that a magazine had snapped shots that definitively proved a romance between Matsumoto Jun and Inoue Mao last November but the article was not published and replaced by an Arashi spread. 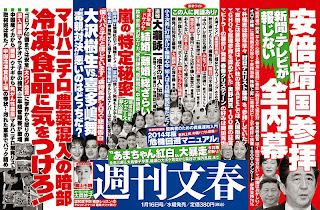 A weekly magazine writer commented that with Mao starring in next year's NHK Taiga drama, it was her side that was more concerned with its publication and under pressure from Johnny's Jimusho, the story never made it to print. As a result Mao's agency now owes a big favour to Johnny's. This article from Shukan Bunshun was Jun's part of its Arashi secrets. The others are Sho being irritable during Kouhaku because he couldn't smoke, Nino's miserly lifestyle despite living in a luxury apartment and Aiba's Porsche plate number having something to do with his girlfriend. No mention of Ohno.